Cash, Lease, or Loan: Which is Best for Acquiring Your Farm Equipment? Apples, oranges, and pears are different but tasty fruits, just like cash, loan and lease are different but effective financing options when acquiring production equipment. They are all beneficial under the right circumstances. 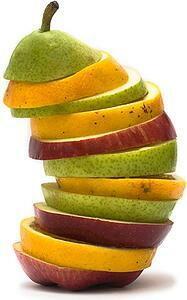 The challenge is comparing your options as apples to apples instead of a mixed fruit salad. To compare the value of cash (with depreciation) to loans (with interest and depreciation) to leases (with 100% expense of payments), break down the finance alternatives to a present value analysis. Present value answers the question "What is the value of a dollar today from future cash flow discounted by a certain rate of return?" Example Question: Which has more value: $100 today, $100 a year from now, or are they of equal value? Answer: $100 today, because the use of cash can earn a return. $110 a year from now earned a return of 10% to be equal value of $100 today. Take that same principal to compare the finance options of cash, loan or lease. Compare the cash flow of payments - reduced by the tax benefits of depreciation or 100% expense of payments - discounted to a present value at an anticipated rate of return. Simple, right? Not quite. It can be an arduous task. *expiration of 50% Bonus Depreciation and Section 179 limits to $25,000, this comparison is normal 7 year MACRS depreciation for agricultural equipment. **example of 10% return on equity determined to be the value of cash. USDA reports the average return on equity across all farming sectors was 9.99% from 2010-2014. 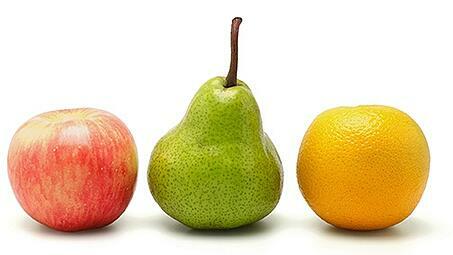 The gross cost is the amount of all payments made and is the apples, oranges, and pears analysis. To get the true cost in an apples to apples comparison, factor in the present value of all cash flows on an after-tax basis, using depreciation, expensing of payments, and the return on cash. The apple shines on the tax lease option for this particular situation and was the finance method used for this real life equipment acquisition. There are other important factors when considering financing equipment such as: leverage, liquidity, operating lines, and usage. Use this analysis as a benefit to better understand financing and how to compare apples to apples for purchase decisions. This article was authored by Gabe Jarnot, SVP of Business Development at Northland Capital with 24 years of experience in the financing industry. Northland Capital is a nation-wide lender that specializes in agriculture and is among the top 25 independent lease and finance companies in the U.S. Contact Gabe Jarnot at gabe@northlandcapital.com for questions or comments. Visit www.northlandcapital.com for further information. ETS is proud to partner with Northland Capital to help customers access financing solutions for farm business purchases. Interested in upgrading your strip-tillage equipment? Check out our rental and lease programs that let you try aSoilWarrior before you buy.